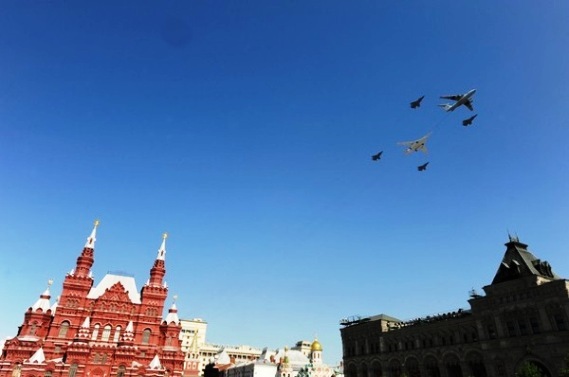 Victory Day military parade on Red Square, Moscow. 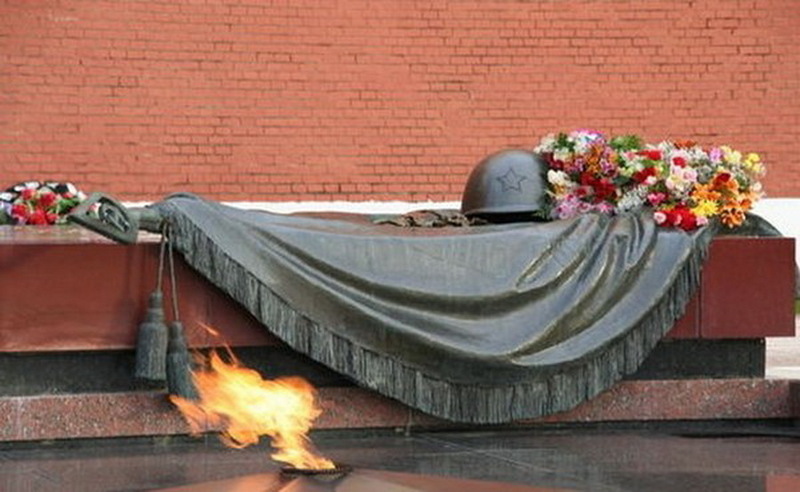 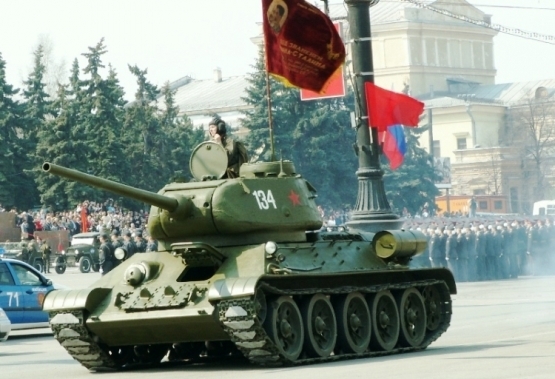 65th anniversary marking the victory in World War II. 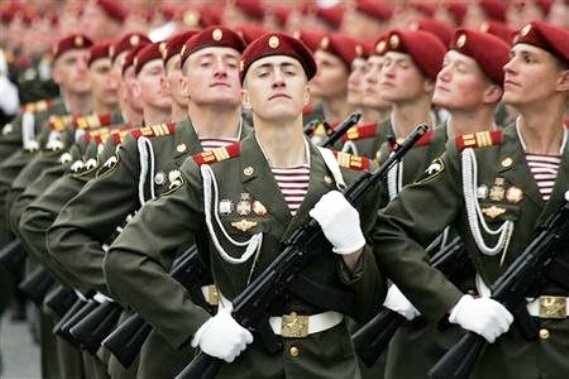 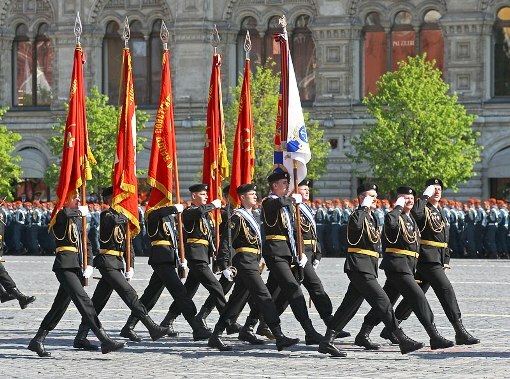 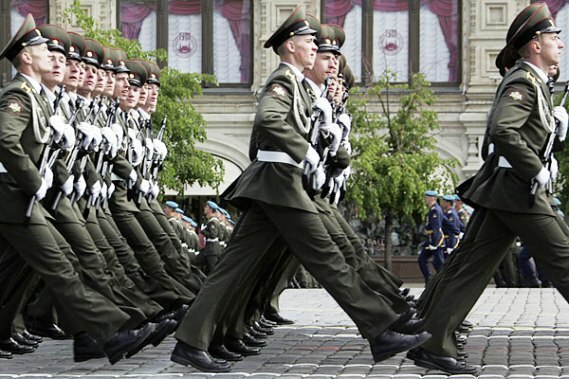 Russian soldiers march past during the Victory Day parade. 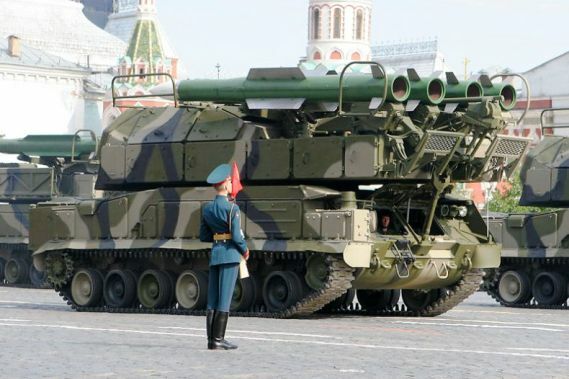 Russian surface-to-air missiles at display. 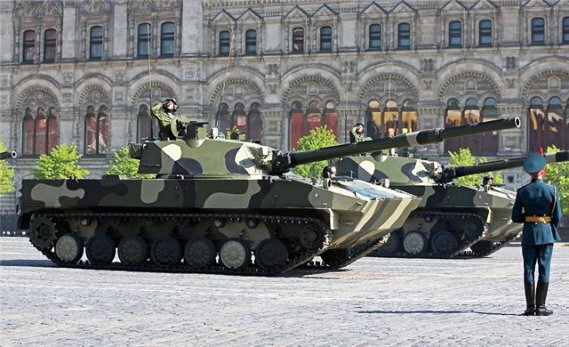 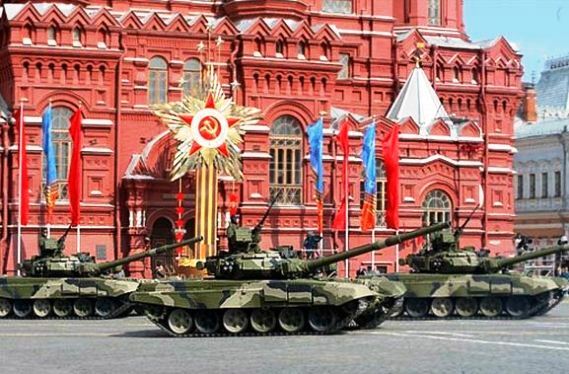 Russian military tanks at display. 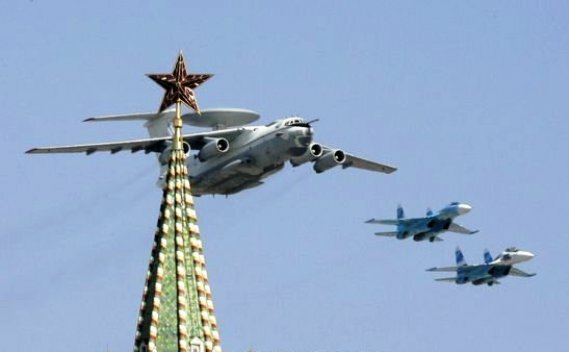 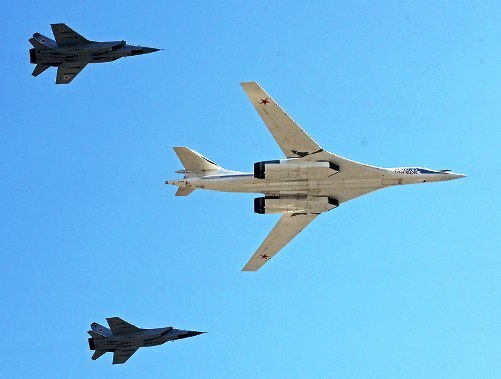 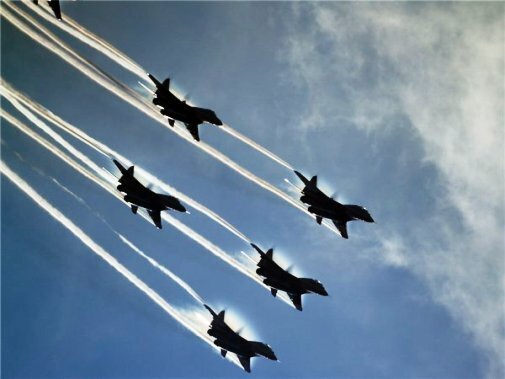 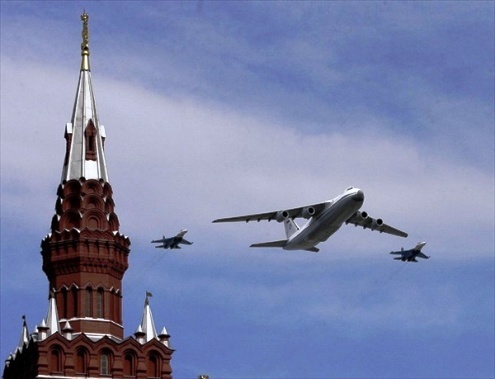 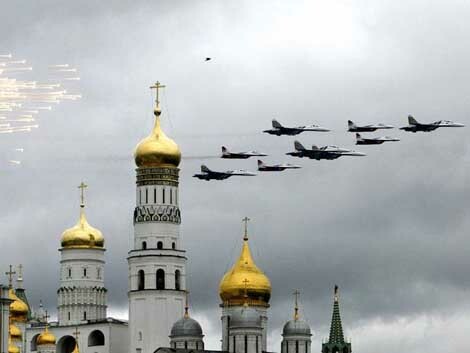 Russian military aircraft in formation. 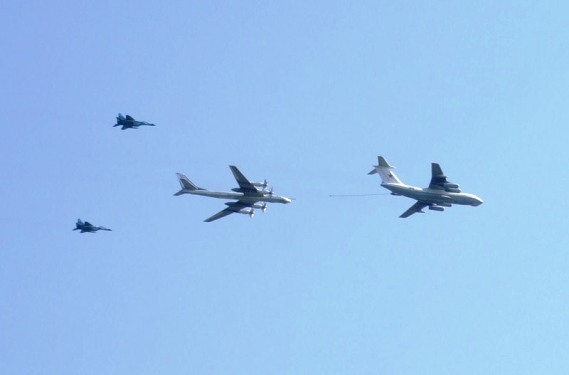 Russian AWACS and Sukhoi aircraft in formation. 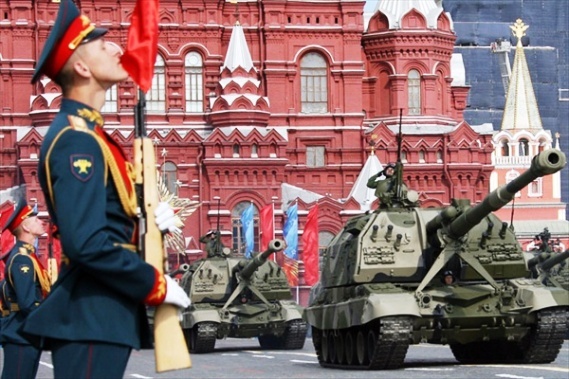 Russian missiles at display during the 65th Victory Day parade. 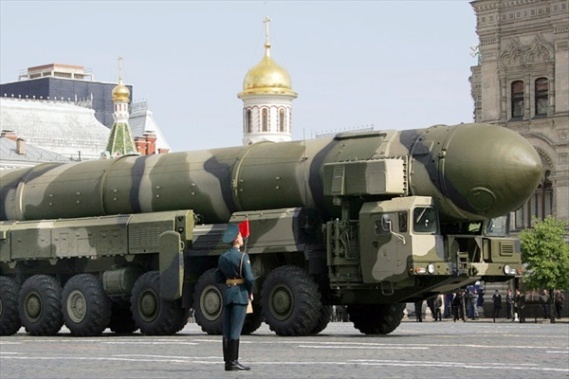 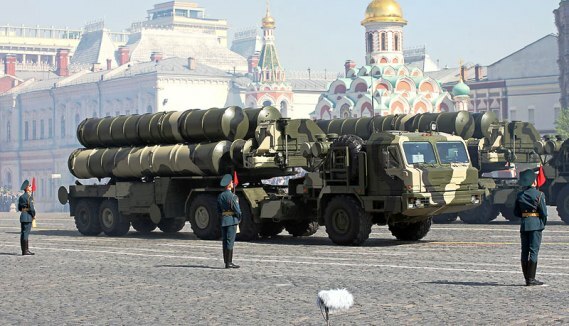 Russian Topol M missiles at display during the 65th Victory Day parade. 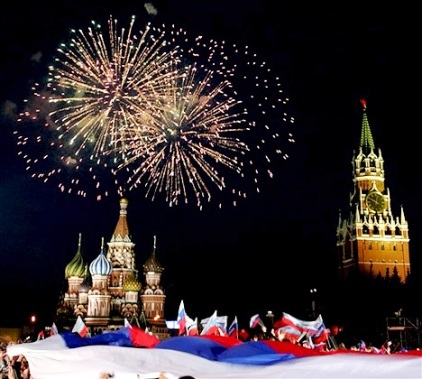 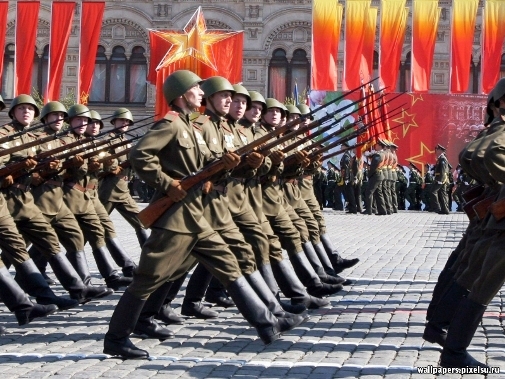 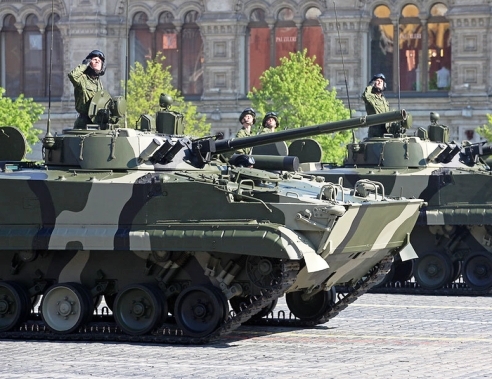 Russia's annual Victory Day parade marking the victory in World War II.